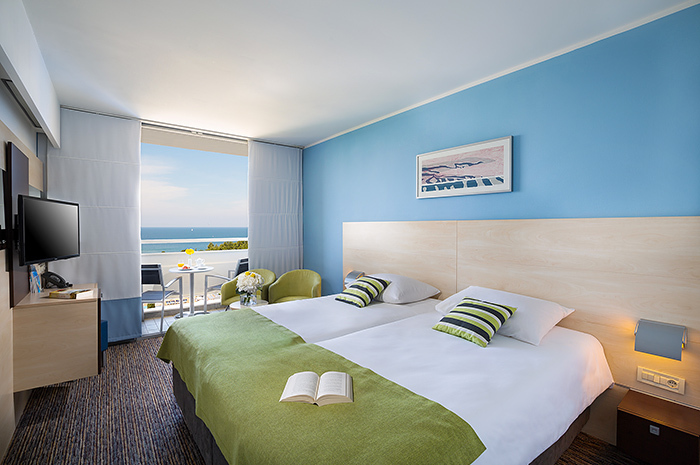 The Valamar Diamant Hotel & Residence are located in the green oasis of Brulo holiday resort, which is ten minutes’ walk from the historic centre of Poreč. Surrounded by tall pines and fantastic beaches, the properties offer accommodation in hotel rooms and suites, as well as in spacious family apartments in Mediterranean-style houses. Professional and recreational athletes will find a wide range of excellent sports facilities here as part of the bike hotel. These include a multipurpose sports hall and outdoor playground, a fitness centre with 40 modern machines, 16 tennis courts, and a complete service for cyclists. 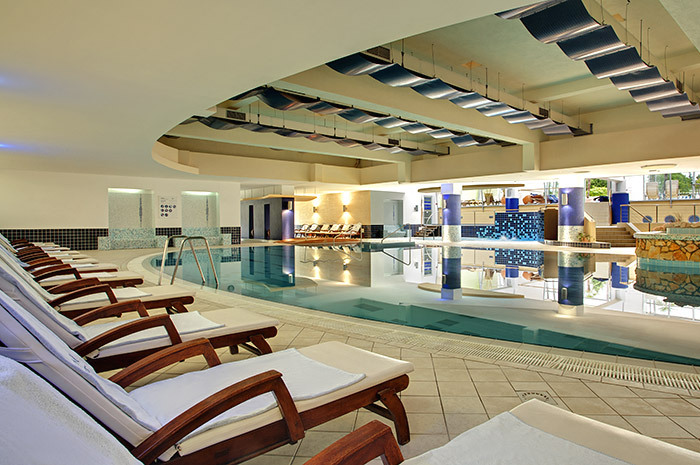 For those in search of wellness services and relaxation, we have an outdoor pool and a modern wellness & beauty centre which covers an area of 2,400 m2 and includes a heated indoor pool, various saunas and many other facilities. The Diamant is also known for the superb gourmet experiences in the hotel’s show cooking buffet restaurant which, among other things, offers certificated food for athletes, vegetarians, and gluten-sensitive guests.